Father Andrew Strobl is the archdiocesan director of evangelization. You can reach him by email at evangelization@archkck.org. The jubilee Year of Mercy that Pope Francis has called is in full swing — literally. The Holy Doors of Mercy have swung open in Rome and in churches across the world. 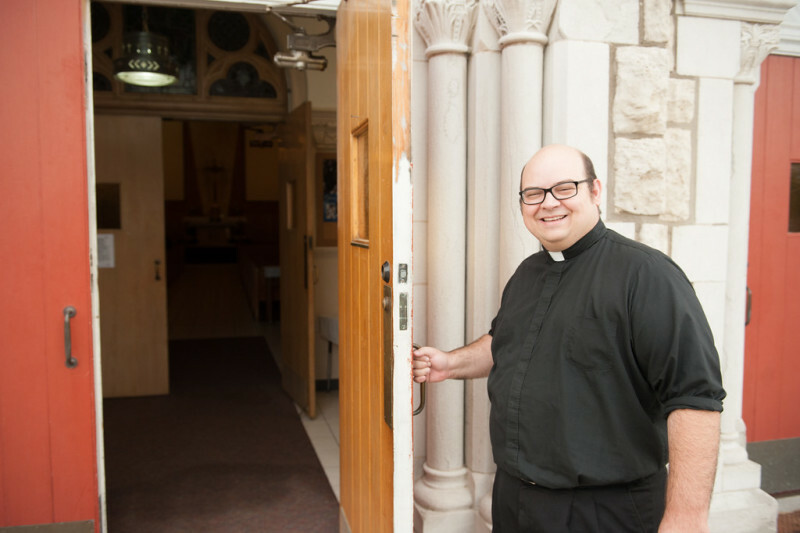 In the Archdiocese of Kansas City in Kansas, we have six churches that Archbishop Joseph Naumann has designated with Holy Doors. For more information about the Holy Doors, visit the website at: www.arch kck.org/mercy. Each set of doors represents Jesus, who is the door to the heavenly Father’s heart and the face of mercy. Making a pilgrimage to the Holy Doors is a special way to enter more deeply into the Year of Mercy. Lent offers another opportunity to celebrate this Year of Mercy. Pope Francis has challenged us to approach this Lenten season with a special intensity: “The season of Lent during this Jubilee Year should also be lived more intensely as a privileged moment to celebrate and experience God’s mercy. How many pages of sacred Scripture are appropriate for meditation during the weeks of Lent to help us rediscover the merciful face of the Father!” (“Misericordiae Vultus” (“The Face of Mercy”), 17). The parables of Jesus are especially appropriate for meditation. Pope Francis notes: “In the parables devoted to mercy, Jesus reveals the nature of God as that of a Father who never gives up until he has forgiven the wrong and overcome rejection with compassion and mercy. We know these parables well, three in particular: the lost sheep, the lost coin and the father with two sons (cf. Lk 15:1-32). In these parables, God is always presented as full of joy, especially when he pardons. In them, we find the core of the Gospel and of our faith, because mercy is presented as a force that overcomes everything, filling the heart with love and bringing consolation through pardon” (MV, 9). Mercy involves seeking the lost with tenacity. Pope Francis refers to mercy as the “core of the Gospel” that “overcomes everything.” Jesus, the face of mercy, seeks out those in need of mercy. The parables Jesus shares reflect a deep desire to offer a chance for the “lost” to be “found,” no matter what the cost. It is for this reason that Jesus took on our flesh: “For the Son of Man has come to seek and to save what was lost” (Lk 19:10). Jesus lives in us since we have been found by him after being lost. Having received the mercy of Jesus, we now share in his mission of mercy. Let us become like the Holy Doors at our churches and provide access to the mercy that has found each one of us. May we all receive the grace this Lent to overcome all obstacles to sharing and receiving mercy.